In this article, we will talk about the most valued Canadians coins. The history of Canada is not only famous for its landscape, colonial rule, architecture, arts, and culture, but for coins that are rarest on earth. The Royal Canadian Mint is famous for producing some of the most valuable coins in Canadian History. It does not only amuse people to collect coins, but they are correspondingly the deluxe investment-grade collectibles. Among all Canadian coins, it is considered a Holy Grail. This coin has held the world record for many years keeping in view its worth and value. The Bank of Canada Museum has housed many examples for collectors. 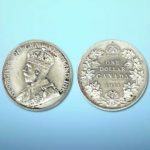 At one such auction held in 2002, the 1911 Canadian Silver Dollar fetched more than one million dollars. There are one in bronze and two in silver examples of this coin out there for the collectors. Back in days, these coins were also known as “King of Canadian Coins.” According to the experts, this coin is another rarity of the classic Canadian coins. The coin’s original mintage was 206,398 according to Charlton lists. However, the government of Canada ordered to melt them down due to their low demand. Consequently, there exist only a handful of 1921 50-cents coins. In addition, these coins fetch forty thousand to two-hundred thousand at auctions in numerous grades. The listed mintage of 1948 Canadian Silver dollar was 18,780. However, we found only a few of them today. Experts believe that the reason behind its low mintage has something to with the independence of India in 1947. 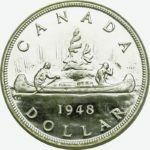 Before 1948, most obverse or front of Canadian coins had featured figurines or effigies of the monarch with the royal title and name in Latin-style inscriptions. Although rare, these coins are still sold at auctions held across the country. They are sold somewhere between thousand to twenty-thousand dollars depending on grades. This coin belongs to the British one-pound gold coin, which was struck at the Royal Canadian Mint from the year 1908 to 1919. This coin is also one of the rarest coins found at different auctions. These are sold somewhere between fifteen-thousand dollars to fifty-thousand dollars. 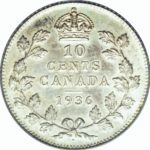 Today, there are only five known examples of 1936 Dot 10-cents coin in Canada. The piece is likewise extremely rare. The coin auction of 2010 sold one example of “1936 Dot 10-Cents” for over one-hundred fifty thousand dollars. What will be cryptocurrency collectors called? Copyright © Apna Online, 2019. All Rights Reserved.